This is one of the oldest things in my house. 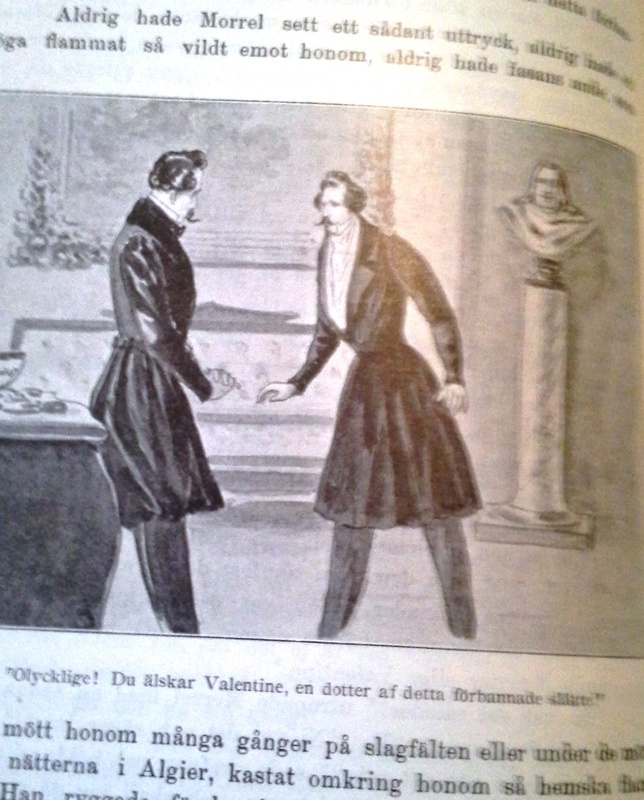 It was published in 1899, and I found it in a used bookstore in Sweden many, many years ago. 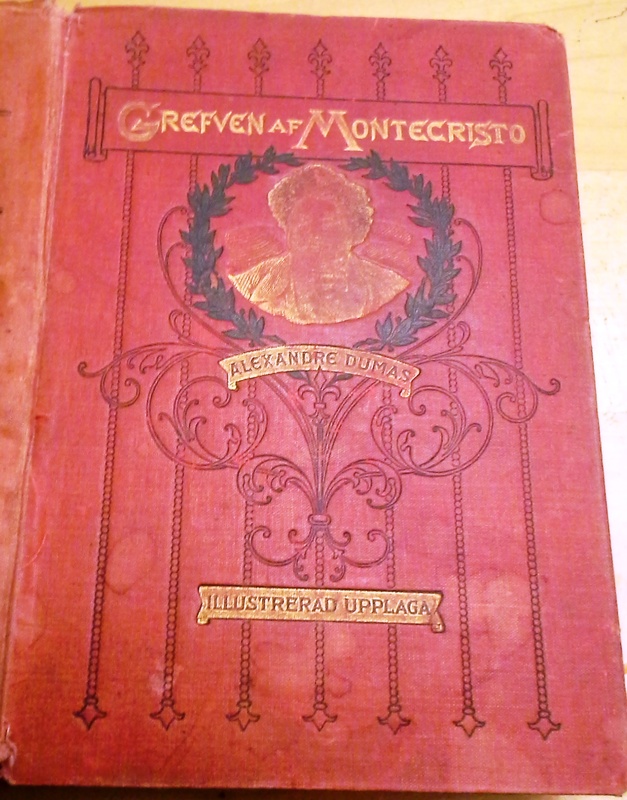 The gold-leaf is worn off on the cover, the language is slightly antiquated, and it still has a somewhat musty, dusty, old-bookish smell; but oh, oh, how I love this book! 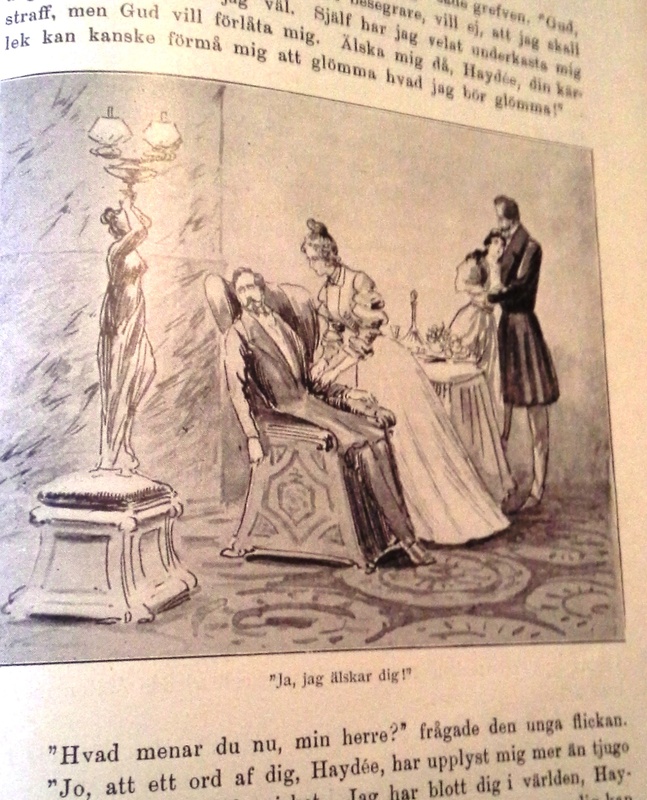 It’s a copy of Alexandre Dumas’ The Count of Monte Cristo, in Swedish (AKA Grefven af MonteCristo) and best of all: it is illustrated. The years, and the many times I’ve moved during those years, have not necessarily been kind to it, but I wouldn’t want to part with it now. The book itself is one of my all-time favourites: it is the ultimate revenge story (I haven’t seen a movie or read another book that tops this one when it comes to delivering a vengeful payoff). It is also a beautifully written, and gloriously sprawling novel. Looking at my copy of the book, I do of course wonder where it spent its years before I found it. Who read it before I did? Who enjoyed getting lost in this story of passion and crime and dastardly deeds and sweet, subtle, and well-deserved, though ultimately corrosive, revenge? These days most of the books I buy are ebooks. It’s a great way to read: convenient, portable, paper-free. But I still come back again and again to this old beauty. She has body, she has looks, she has a scent and a feel all her own. 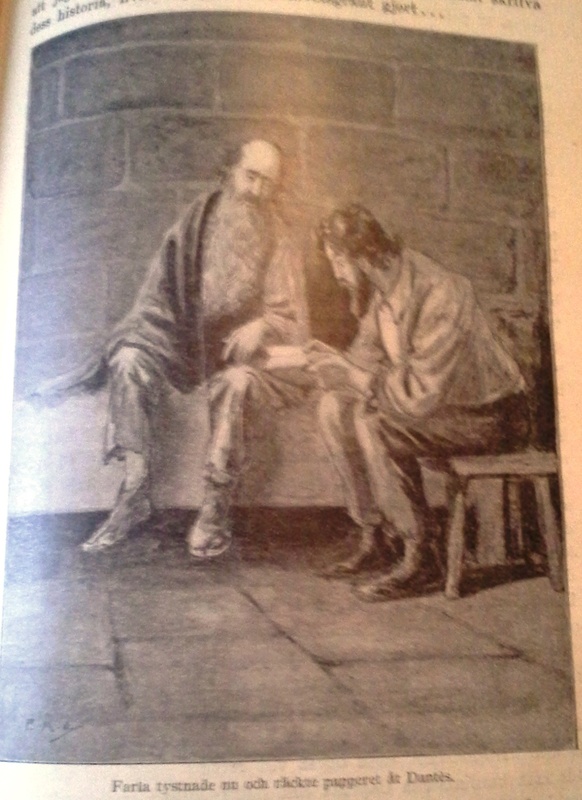 My copy of Dumas’ masterpiece turns 116 years old this year, and it is still able to tell a great story. Maria. Marvellous Illustrations… And a fantastic book altogether.